Whether you’re rear-ended at a stop light or side swiped by a driver that failed to check the blind spot, auto accidents in San Diego can lead to a number of medical and financial problems for victims. They may suffer serious, sometimes even life-changing, injuries that prevent them from working or enjoying their daily lives with their families and loved ones. In other instances, the car and other property may be damaged beyond repair, forcing victims to buy a new vehicle. If your property was damaged or you were injured in an auto accident in San Diego, then you need to call the Law Offices of Jason A. Rodenbo and get justice for your property damage and injuries. You deserve compensation, and our attorneys won’t rest until they get you the best possible outcome for your case. Don’t delay, call today. The attorneys of the Law Offices of Jason A. Rodenbo are skilled in handling a number of different auto accident claims. We’ve worked with hundreds of injured drivers and gotten them the justice they needed. Rear-end Accidents: As described above, rear-end accidents happen when the front of one car collides with the back of another. Some situations are minor or merely a “tap,” but others can be more severe. Vehicle Rollover: If your vehicle loses its center of gravity during an accident, it may roll over, causing extensive damage and injuries. Head-on Collisions: When the front ends of two vehicles collide, a head-on collision occurs. At high speeds, these crashes can be fatal. 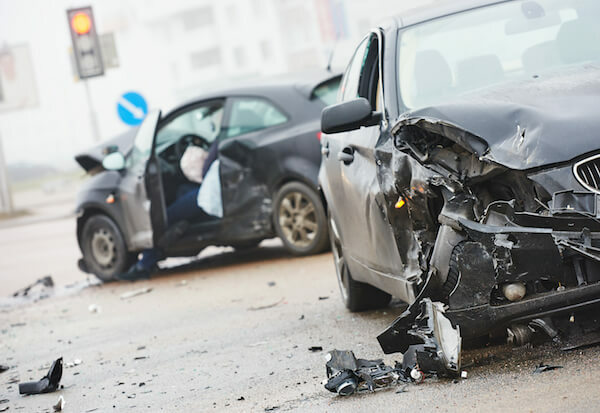 Side-impact Accidents: These “t-bone” collisions happen when the front side of a vehicle collides with the side of another, often resulting in serious damages and injuries to drivers and passengers. 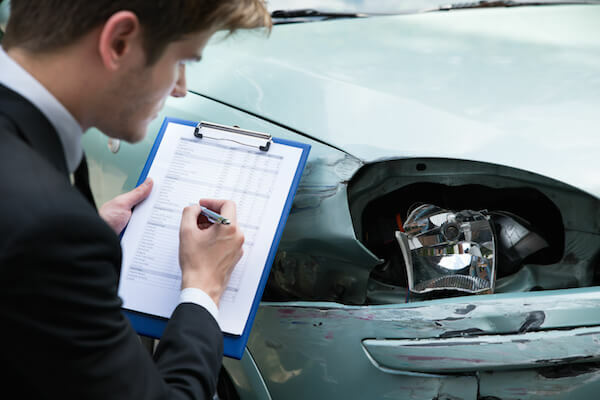 One of our knowledgeable attorneys will be able to help guide you along and offer advice for filing and auto accident claim, no matter what type of accident you were in. When you’re involved in a car crash, you’re probably thinking about a million different things at one time, but this is a crucial time to gather information. The information you compile at the accident scene can make all the difference in your case. The other driver’s name, home address, telephone number, date of birth, driver’s license number, expiration date of the license, and the insurance company. The year, make and model of the other car or cars involved in the crash along with their license plate numbers, vehicle identification numbers, and expiration dates. If the vehicle was driven by someone who was not the car’s actual owner, make sure you get the owner’s name, home address, telephone number, date of birth, driver’s license number, expiration date of the license, and the insurance company. If there are any passengers in the other car, write down their names, home addresses, telephone numbers, dates of birth, and driver’s license numbers. If you call the police, write down the officer’s name and badge number to follow up with him or her and procure a copy of the accident report. Witness testimonies can be vital to winning an auto accident case. If there were any witnesses to your accident, it’s important to get down their information as well. Be sure to record the names and addresses of these witnesses and ask them to speak with an officer at the scene. If they refuse, ask them to tell them exactly what you saw and write it down as they’re telling you. In some instances, witnesses may drive off before you even get out of the car. Write down their license plate numbers. Give those numbers to the police so they can follow up if needed. Of course, if you are unable to get all of this information, do not feel like you can’t file a lawsuit. Speak with an attorney at the Law Offices of Jason A. Rodenbo and see what your options are. Going through an auto accident can be stressful and painful. You may be suffering from serious injuries and be out of work for some time, unable to pay mounting medical and credit card bills. You might have to replace your vehicle or pay for extensive damages to its interior and exterior. Don’t feel like you have nowhere to go. At the Law Offices of Jason Rodenbo, we take all our auto accident cases seriously, and we understand just how vital a successful case can be to a person’s life and financials. If you’ve been injured in an auto accident in San Diego, don’t hesitate to call the Law Offices of Jason Rodenbo. Contact our offices at (619)265-0081 or online here. You’re not alone in these cases. Let the Law Offices of Jason Rodenbo look out for your best interests.